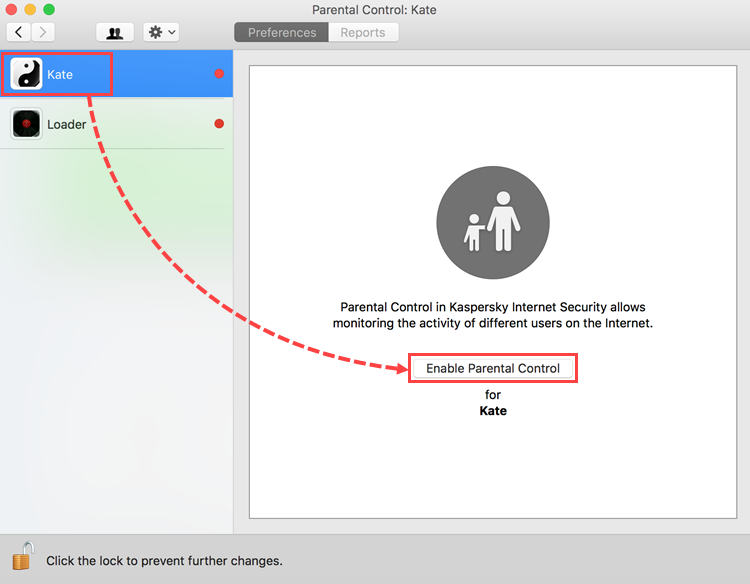 In the main window of Kaspersky Internet Security for Mac, click Parental Control. 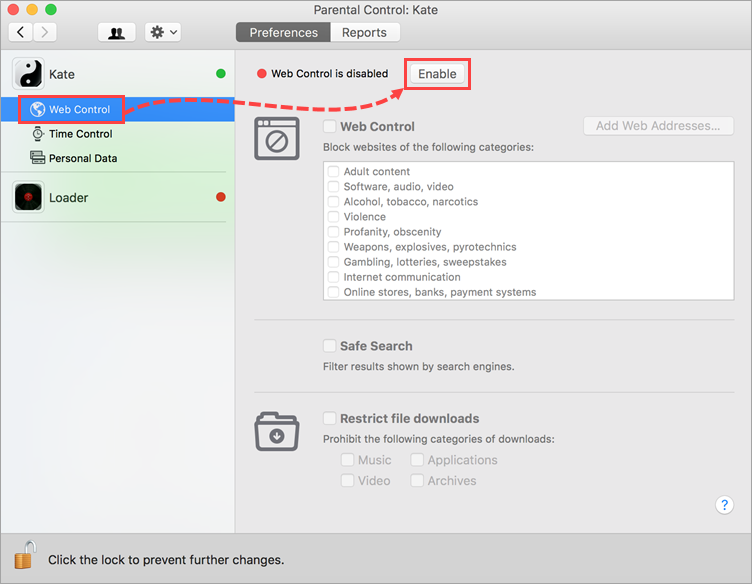 Select the user's account and click Enable Parental Control. Parental Control has been enabled. 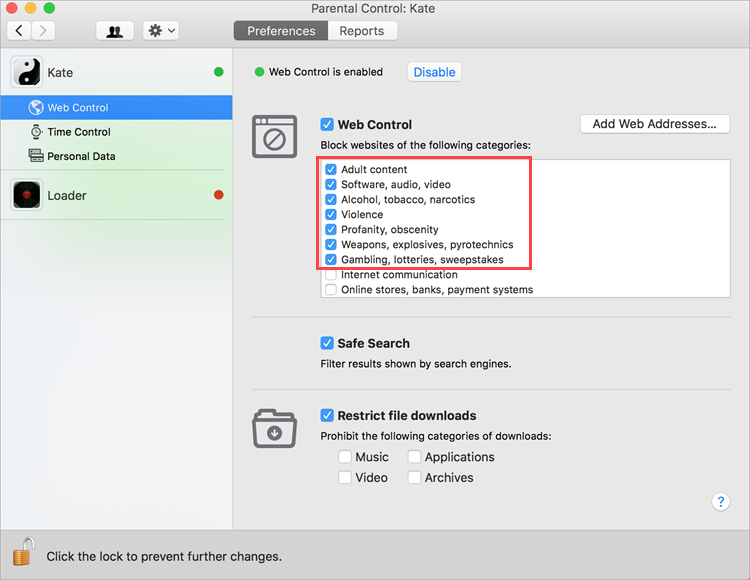 For detailed descriptions of Parental Control categories, see this article. 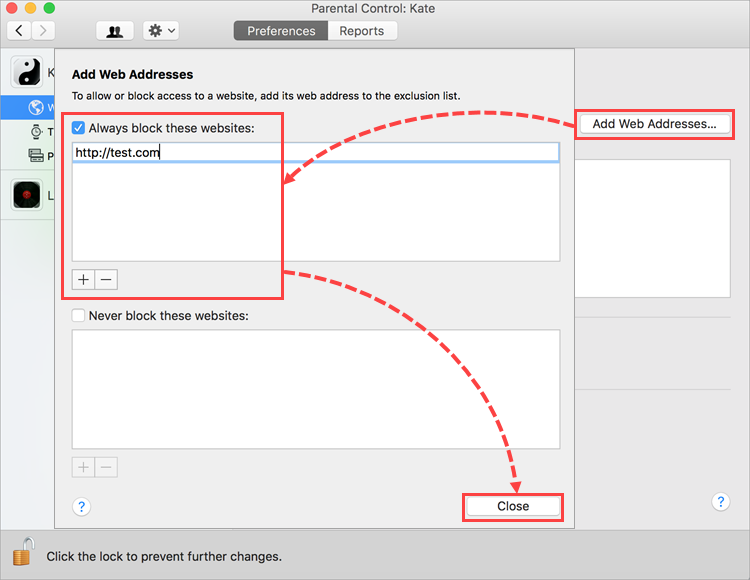 Go to Web Control and click Enable. 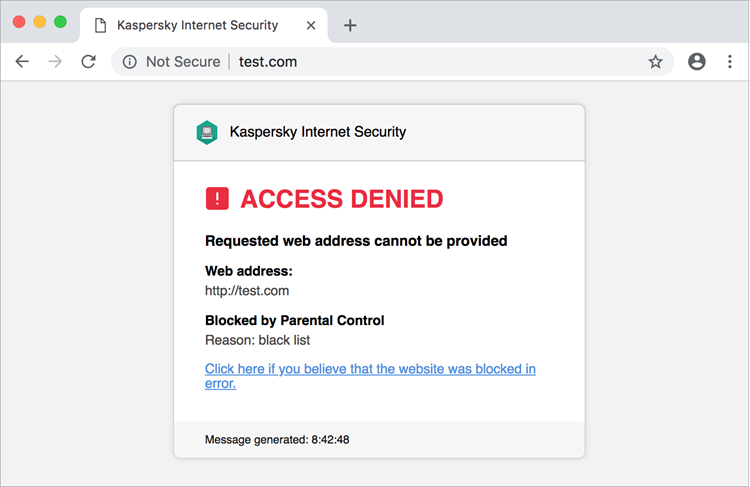 To block access to certain categories of websites, select them in the list. 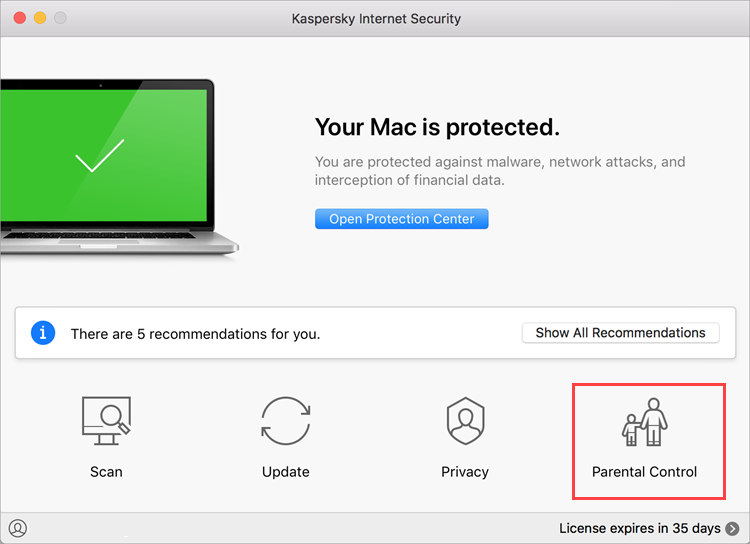 Only 9 Parental Control categories are displayed in the window. Scroll down to view the other categories. Select the Always block these websites checkbox. Access to these websites will be restricted. 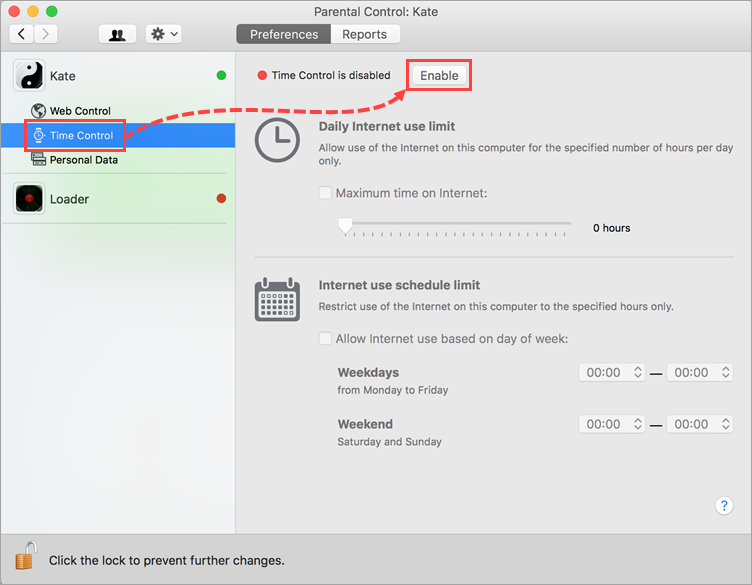 Go to Time Control and click Enable. 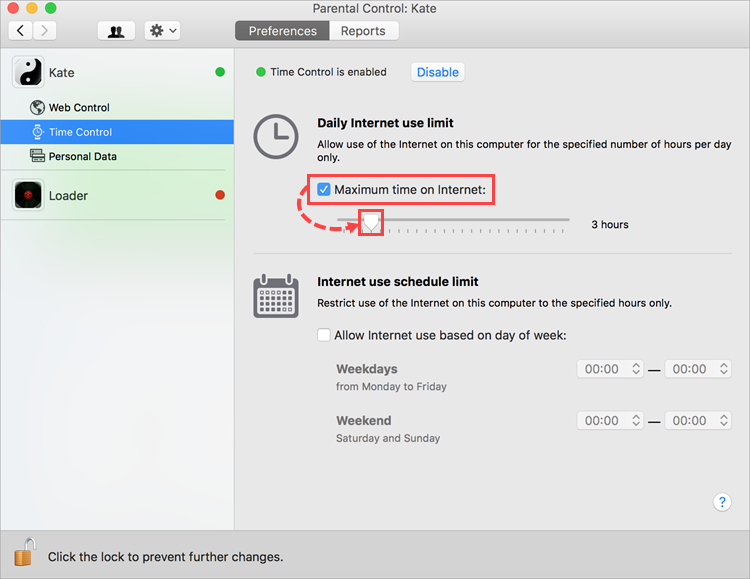 To limit the maximum time the user can use the Internet in a day, select the Maximum time on Internet checkbox and specify the number of hours. 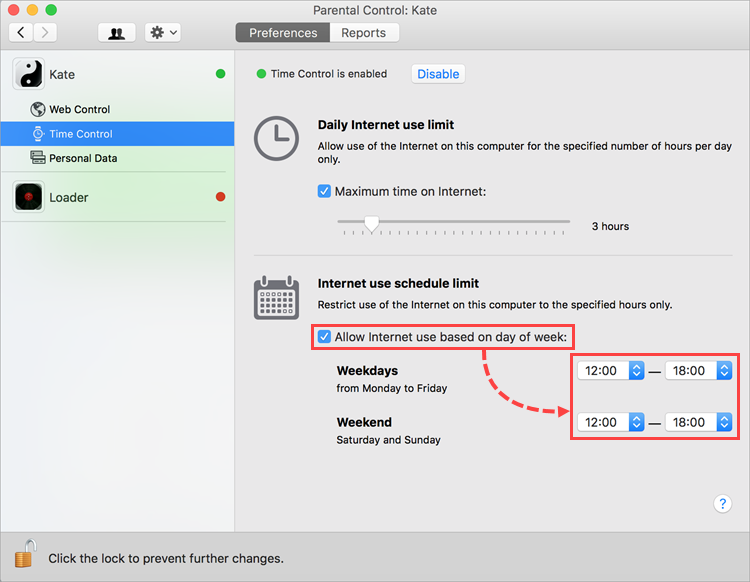 To allow the Internet to be used at certain times on weekdays or weekends, select the Allow Internet use based on day of week checkbox. Internet usage times have been configured. You can prevent personal data from being transferred when using social networks or submitting online forms. 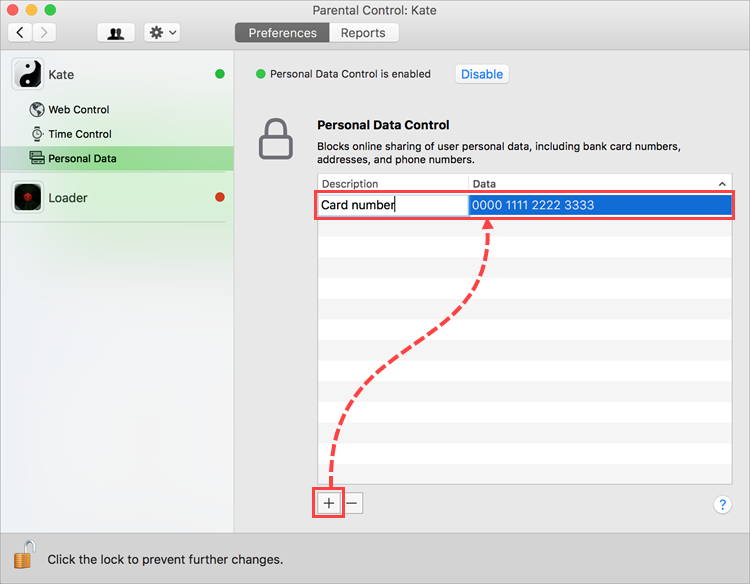 For example, you can block a bank card number, home address or telephone number from being transferred. 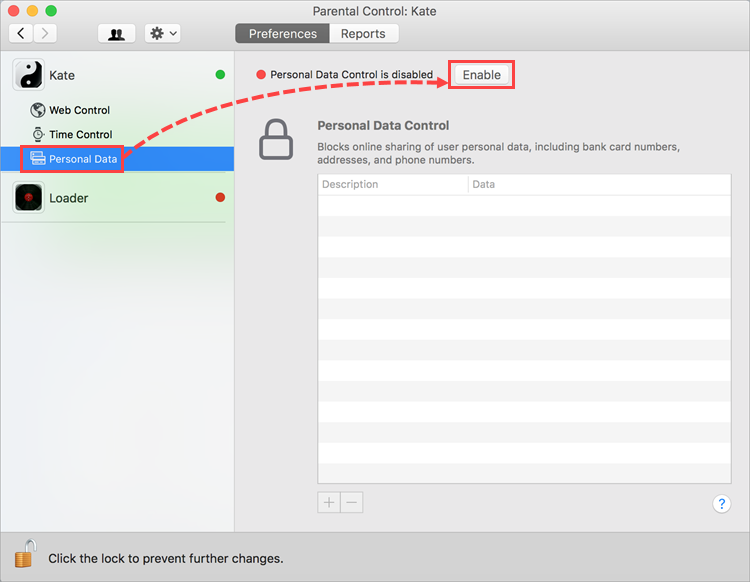 Go to Personal Data and click Enable. Click and enter the data you want to prevent from being transferred. Restrictions on transferring personal data have been configured.